Niftyknits has even been asked for an autograph...TWICE! This week a book-shaped package arrived in the mail. 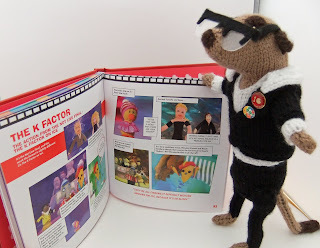 The book was a sweet reminder of the fun of the show. The week everyone dressed as Harry Hill was of course a highlight for Harry Hill Meerkat! We also loved "Dancing on Ice". Harry Hill Meerkat was partnered by Tommy Trundle, knitted from a vintage Alan Dart pattern which can still be found on ebay. 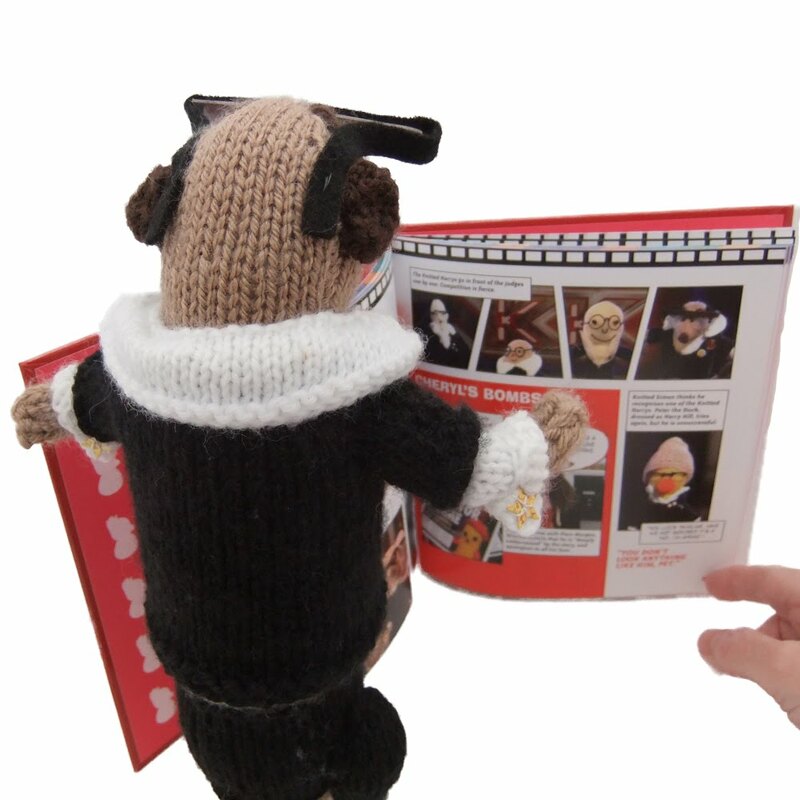 Alan's other patterns are here: click! 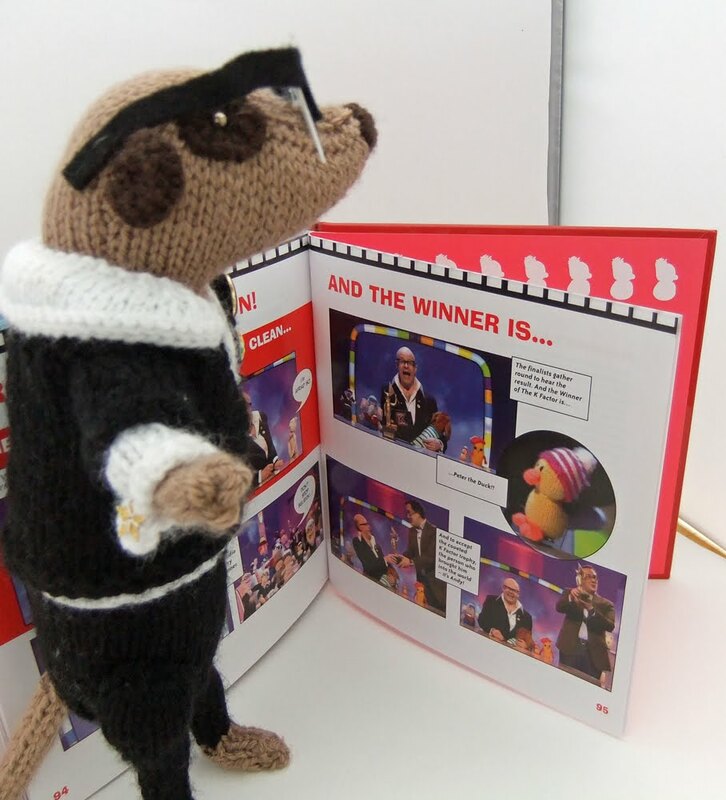 The judges' decision ... Peter the wingless duck! Andy knitted Peter using a Jean Greenhowe pattern, available here: click!. 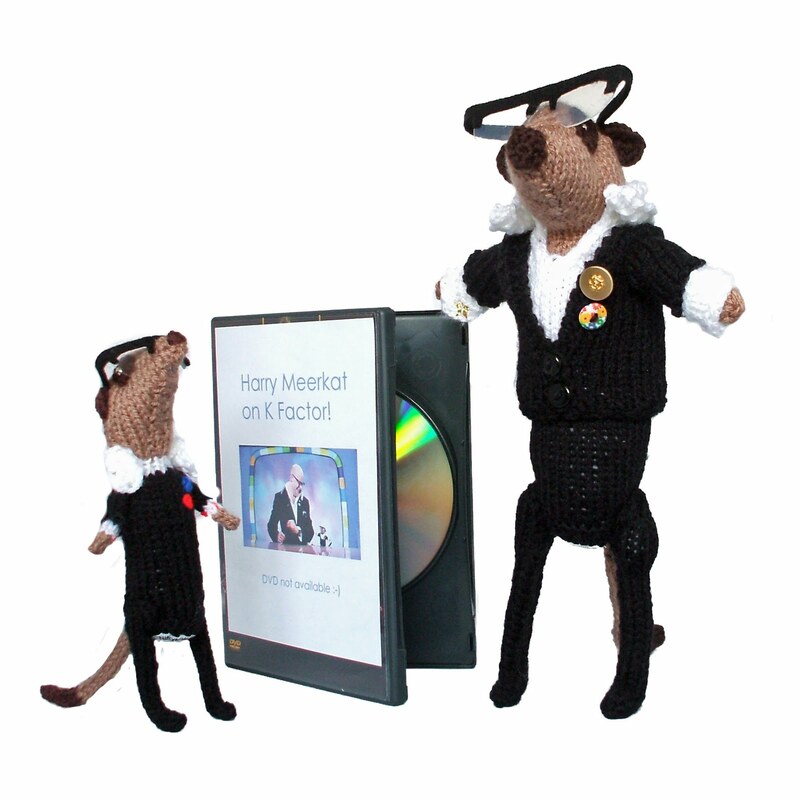 If you'd like a genuine Niftyknits Harry Hill Meerkat though, you know where to find them! 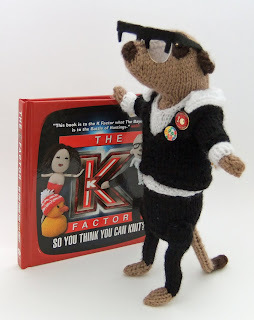 What a fab book!!! 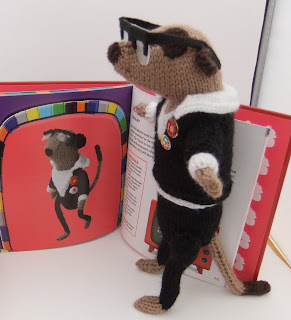 I remember seeing your Meerkat on the TV and saying I've seen you on Folksy, aww! Loving your knits!